One of the most common issues with commercial properties is roofing problems. It can be a pain to deal with, it can be expensive, and it is downright annoying. The realisation that by no fault of your own you have run into these issues can be just the thing to ruin your day. Fortunately at ProRoofing, we offer a wide range of commercial roofing Bournemouth services, including roofing repairs, to accommodate your needs. Whether you’re searching for a company to improve your current roofing situation or you need urgent repairs, get in touch with us today and we’ll get right to it. When it comes to commercial roofing in Bournemouth, many people underestimate how important it is to take care of your roof. Even the smallest of cracks can turn into much bigger problems. Water damage, one of the most expensive property repairs there is. In some severe cases, roofing collapse. Avoid the risk of your commercial property suffering from these issues by addressing the problem with us, and letting us get to work on the repair. Not only is it important to watch out for any roofing damage, but every so often it is a good idea to have your roofing thoroughly inspected so that you can learn of any issues that you haven’t noticed, and so that you can receive advice on how you can better your roofing situation. All in all, you can never be too safe when it comes to the roofing of your property. Here at ProRoofing, we have come to expect that every job we receive is different. It is very rare that we will receive two identical jobs and because of this, we will thoroughly evaluate your commercial roofing needs and provide you with an accurate price estimation before we get started. This is beneficial to you for several reasons, the main reason being that you will be provided with a price breakdown before we even begin to work. 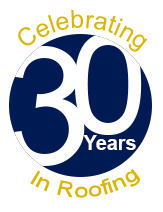 In our 30 years of being actively involved in the roofing industry, we have become one of the most respected commercial roofing Bournemouth services out there and continue to offer the same high-quality service that we did when we established ourselves. All of our workers are regularly trained and are qualified to do the work that they do, and do so to a high standard. Furthermore, our staff are all fully aware of the health and safety aspect of things, reassuring you that they do in fact know what they’re doing. Lastly, we are incredibly confident with the services that we provide and the work that we do. We are so confident to the extent that we provide a 10-year guarantee on all of our jobs. If you run into any issues within those 10 years, we will return to the project and deal with the issues accordingly. If you believe that you’d benefit from any of the commercial roofing Bournemouth services that we have to offer, give us a call today on 01202 518763 or send us an email at office@pro-roofing.co.uk where we’ll promptly reply. Even repairing the smallest roofing issues could prevent your property from detrimental damage.